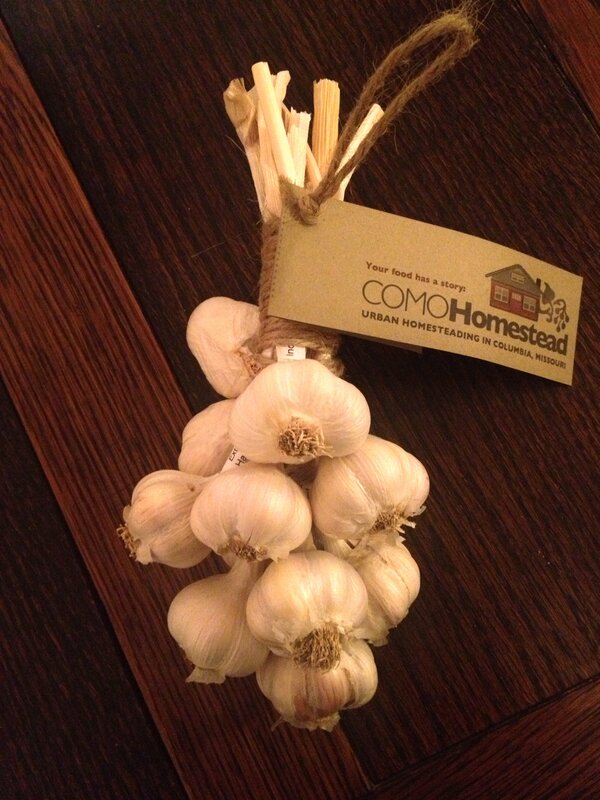 Yesterday, just in time for Thanksgiving, they dropped off the most beautiful bunch of garlic I’ve ever seen. And on top of that, each is labeled according to variety. They harvested about 320 heads over the summer, forming a wall of garlic on their porch as it dried. We’ll definitely use some of this Thursday but I’m thinking it’s time to make Chicken with 40 Cloves of Garlic. Read about their garlic project and other farming and food adventures on their blog, COMO Homestead.